Mother’s deserve the world and more. So, it’s hard to think of a gift or two that sums up your appreciation of her (without costing the world!) We’ve categorised every magnificent mother into four groups. Gintastic Mum, Snacktastic Mum, Quirktastic Mum and Glamtastic Mum. Recently, gin is on everyone’s lips. 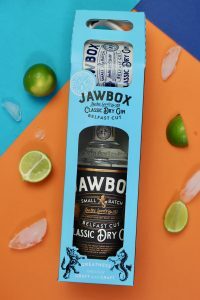 Our customer Jawbox, has been soaring up the gin ladder for locals. Check out our practical and pretty gift packaging which allows for a branded mug (we know, what a wonderful pair!) You can purchase Jawbox at your local superstores and can be inspired by suggested servings on their website. Everyone loves a cupcake or pastry delicacy. Why not show your mum how sweet she is with a few sugary snacks? 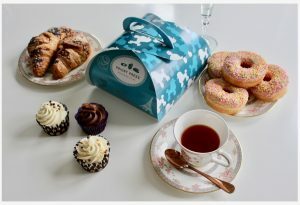 Pop down to your local bakery and whip up her favourite things in a beautifully packaged box or perhaps make your own! 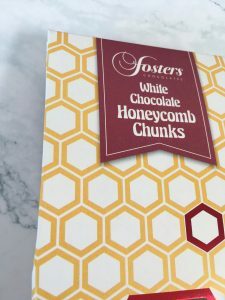 Another delicious option is Foster’s chocolate honeycomb. Perfect for that after-dinner sweet tooth. The packaging even looks good enough to eat too! 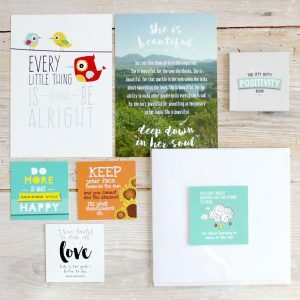 For the mum’s who are a ray of sunshine, this Itty Bitty purchase is perfect to enhance their happiness with positive quotes – they deserve it. The Happy Box encourages reflecting on the positive things in life and all your quirks that go with it. You can even add a personal message to make her day even more special! For the glamorous mum’s, they may need some tanning products to ensure they are beautifully bronzed at all times. 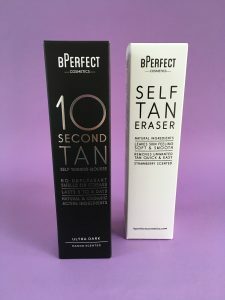 BPerfect Cosmetics have every tanning product she needs from organic long-lasting 10 second tan to strawberry scented self-tan eraser. We hope our 4 types of magnificent Mother’s Day gifts have inspired you to spoil your mum – she deserves it! PreviousPrevious post:Earth Day 2019NextNext post:International Women’s Day!